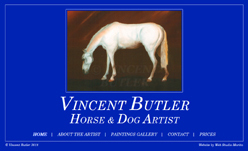 Web Studio Marita has recently updated Vincent Butler – Horse & Dog Artist website. The branding colour has been changed as well as a contact details. Therefore, check Vincent's website now > to find out about new phone number to contact Vincent. Ferguson Imaging based in Paisley a local photography studio run by Murdoch Ferguson. 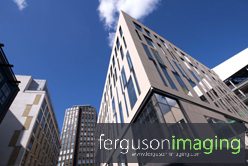 Ferguson Imaging offers a wide range of different types of photography including events photography or corporate photography, and many more. Contact Ferguson Imaging for details. 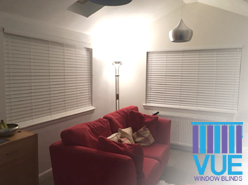 VUE Window Blinds offers a wide range of type of window blinds manufactured in Scotland and the UK. VUE Window Blinds offers variety of materials and colours and fitting is free. 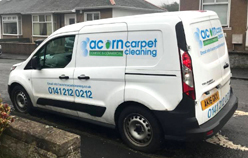 Acorn Carpet Cleaning – The Carpet Care Specialists in Glasgow, Paisley, Renfrewshire, Greenock, Port Glasgow, and Inverclyde. Check Acorn Carpet Cleaning for more information and contact details. 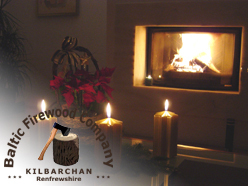 Baltic Firewood is well established hardwood firewood supplier in Scotland. Baltic Firewood offers a high quality hardwood logs as well as wood pellets, Irish briquette, & kindling. To take advantage of the offer, simply quote WSM060 when contacting us. If you're interested in the service described above or you would like to seek advice on how to promote your company best, click any service below.